Earlier in the week Microsoft released a new Windows 10 build 17728 for Fast Ring Insiders. The build came with the introduction of the company’s Your Phone app to the Insiders. The app allows you to interact with your phone from your PC, sending and receiving SMS messages, making phone calls and more. However, the company had not fully activated the feature with the previous build. Today, Microsoft is releasing a new Windows 10 build 17730 for Fast Ring Insiders which finally activates the feature on your Windows 10 PCs. The latest build confirms the activation of the Your Phone app for Windows Insiders. Today’s build activates the Your Phone app to iOS users as well but with limited features. iOS users will be able to link their phone to PC and surf the web on the phone. They will be able to send the webpage to the computer and pick it up from where they left off. Apart from surfing the web Microsoft hasn’t added anything more for iOS users due to limitations of Apple. But we expect to see more features added in the coming days or weeks. Microsoft has also updated the Insider Feature Update experience in the latest preview build. Depending on the ring, users will now get notifications to schedule or automatically schedule download for the latest build outside of active hours. This feature can undergo changes based on the feedback provided by Windows Insiders before the final release to all users in a couple of month’s time. 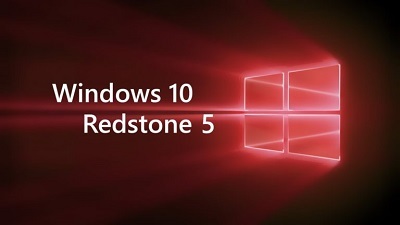 Microsoft is currently winding up the development of Redstone 5 and hence we can expect the company to release more frequent Insider builds in the coming weeks to the Fast Ring. The latest Insider build is now live in the Fast Ring and you can download it by going to Settings > Update & Security > Windows Update > Check for Updates.